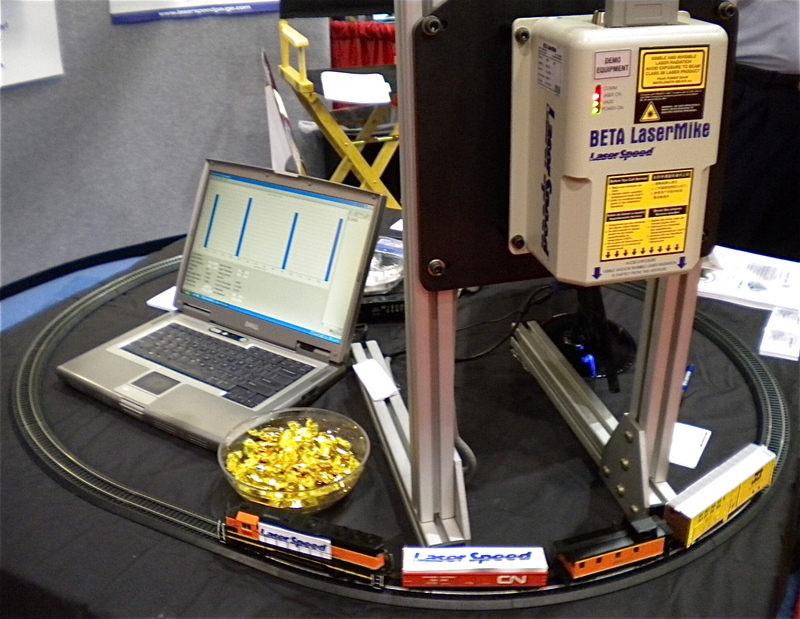 Beta LaserMike’s LaserSpeed® non-contact encoder helps converters accurately and consistently measure the length and speed of product during production. The laser projects a unique pattern on the surface of the product. As the product moves, light is scattered back to the LaserSpeed unit. This information is translated into product speed and pulses are produced to determine the product length, independent of shape, color or texture. Length and speed measurements are captured with better than +0.05-percent accuracy and 0.02-percent repeatability. LaserSpeed measures up to 39,400 fpm. 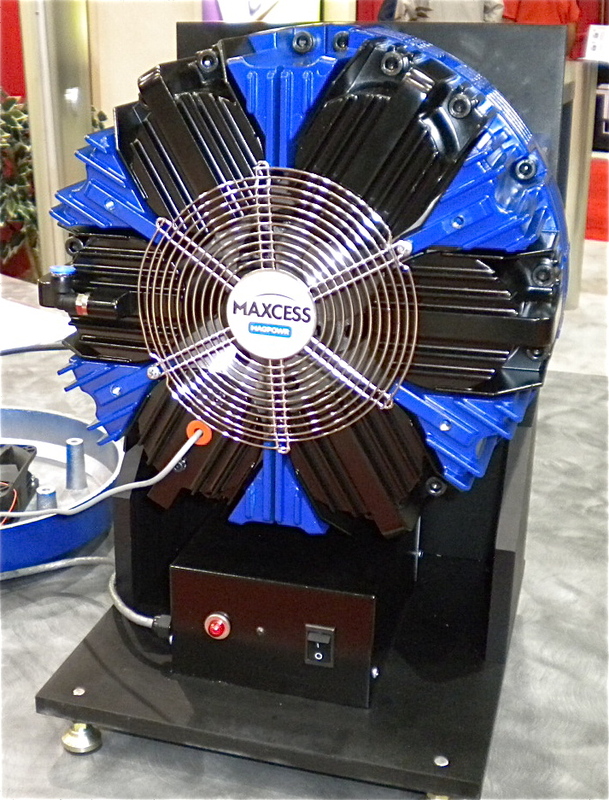 Engineered for general converting and corrugating applications, the new high-efficiency Maxcess MAGPOWR HEB250 pneumatic brake, has a 250-mm rotor and a sleek design built into its framework to maximize productivity. It helps reduce maintenance costs and downtime with thicker pads that last 20% longer. Greater heat dissipation ensures that the HEB runs at cooler operating temperatures, making it ideal for managing tension on larger rolls and extending pad life. Designed to be extremely safe and easy to use, the brake also integrates with other MAGPOWR tension controls and web-handling components. 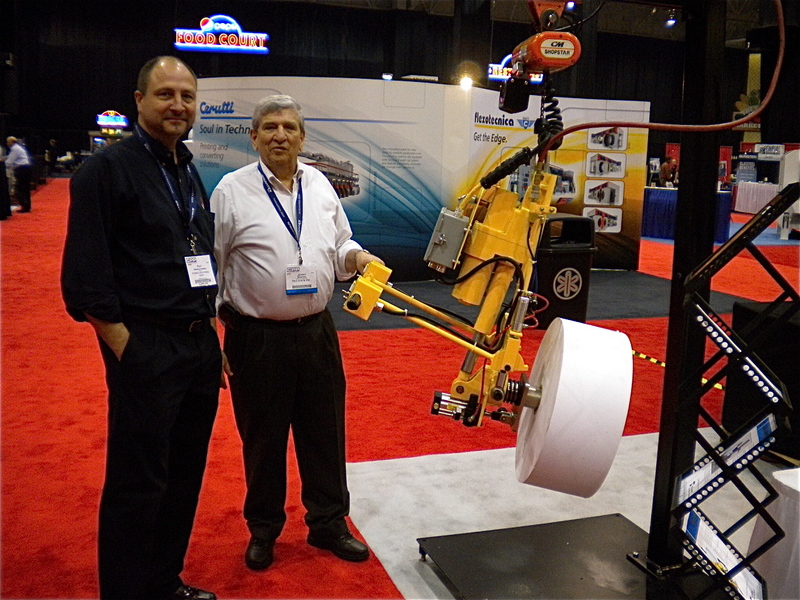 Dover Flexo Electronics offered demos of communications options for its SteadyWeb™5 tension controller. The unit maintains set tension on a web in any zone to improve process consistency. Its Web-server option allows Ethernet communication for setup and control via connected PC or remotely from a Wi-Fi-enabled smart device. For setup and configuration, users have a choice of the controller’s standard graphic interface with a color backlit LCD and convenient scroll knob, or a communication option of serial interfaces or Ethernet. Tilt-Lock Tip Lifts for roll-handling operations are either electrically or pneumatically powered and all feature ergonomically designed, handle-mounted controls for combined control of the hoist and the Tip Lift. The spring-loaded probe easily inserts into the roll-material core. Four gravity-activated teeth on the end of the probe grip the core firmly. Models are available with horizontal probes from 11 to 52 in. and vertical probes from 34 to 65.5 in. Rolls from 150 to 2,000 lbs can be lifted, turned and put into place in seconds. 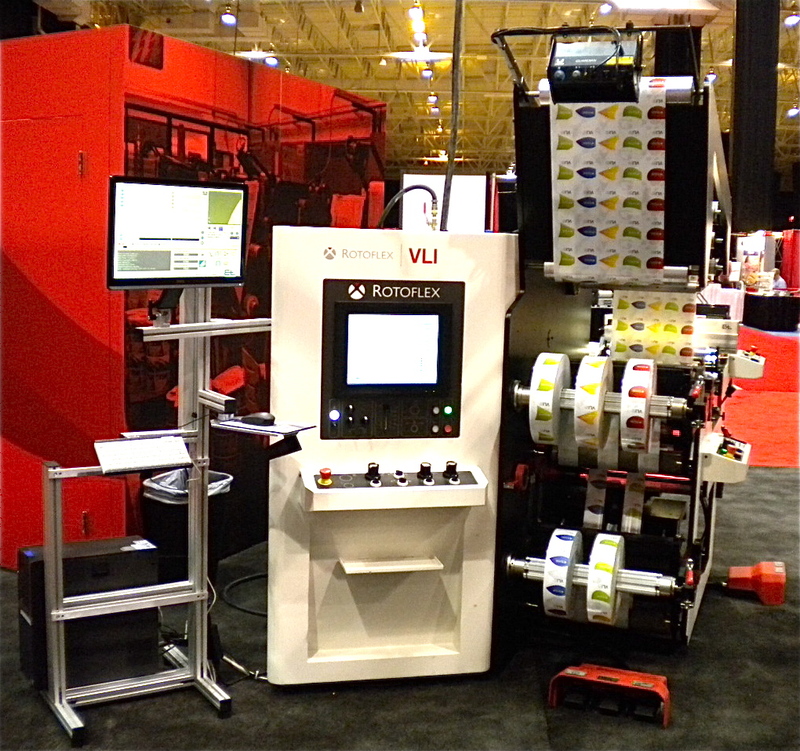 Mark Andy’s Rotoflex VLI Series inspection slitter/rewinder has been re-engineered with a new redesigned web path to improve access, set up and changeover efficiency, allow fault placement in multiple locations and easier vision system integration. The modular platform has an expandable unwind design for future configurations and applications. Human-centric common-sense controls allow instant access to primary functions for optimized operator use. All VLI models, which inspect film labels, flexible packaging and other tension-sensitive materials, run at speeds up to 950 fpm and handle unwind diameters from 30 in. to rewind diameters up to 24 in. Finzer Roller introduced its new line of back-up brushes to replace metal anvil rolls for multi-wall bag, plastic-web and film manufacturing applications. The back-up brushes feature an extremely uniform density that presents individual strands of bristle rather than clumps or tufts. This controlled brush density allows unlimited bristle patterns from “open” to “super dense.” The lightweight brushes have quick-changeover designs with external or internal bearings, and high-temperature brushes are available. My Thoughts: The Cleveland edition of CPP EXPO will fast fade into memory as that anomaly between the show’s co-location with PACK EXPO and its new co-location with PRINT 13 (Sept. 8-12 at Chicago’s McCormick Place). While organizer H.A. Bruno reports 1,200 attendees and traffic was certainly busy on the opening morning, it fell off rather quickly after that. Visitor numbers, of course, is only one measure of a show’s health. Ultimately, it comes down to how happy exhibitors were with the quality of those attending. CPP EXPO demographics listed 81% as having direct influence on their companies’ buying decisions. Twenty-nine percent were upper-management types, and 24% head engineering or R&D operations. Several exhibitors I spoke with were pleased but an equal number were not so happy. CPP EXPO, returning to Chicago and running next to a show likely to attract 20,000-30,000 printing-related professionals is the right move. This entry was posted in coating/laminating, flexible packaging, labels, slitting/rewinding and tagged flexo electronics, technology. Bookmark the permalink.